Fast sealift is a bad idea. In the 1980s, an American sealift company had eight fast cargo ships built that can reach 33 knots, compared to the just 24 knots for common diesel powered cargo ships. The advantage seemed obvious, yet reality is different. The top speed of these ships is 33 knots, but if one cruises at that speed for hours components begin to break. This top speed also assumes calm seas and burns much more fuel. Therefore, the normal cruising speed for these "fast" sealift ships is around 26 knots. The same concept applies to an automobile; drive it at its top speed for hours and something is likely to break. Another problem is range. At 33 knots fast sealift ships burn twice as much fuel as diesels to push faster through the water. Retired Navy Captain Hugh Nott noted in his book, "Fleet Tactics and Coastal Combat," that with half the propulsive power, a ship can go 80% as fast. Larger engines mean higher costs and less cargo. Not only is that expensive, it requires a ship to stop and refuel during a long journey. A diesel ship can steam straight from San Diego to the Persian Gulf at 24 knots. Yet a fast sealift cruising at 33 knots will need to alter course and stop to refuel, wasting a dozen hours. In addition, it will be lucky to complete the journey at top speed without a mechanical breakdown. Finally, diesel engines are simpler and therefore cheaper and more reliable. This is why no one uses fast cargo ships, except the US Army. 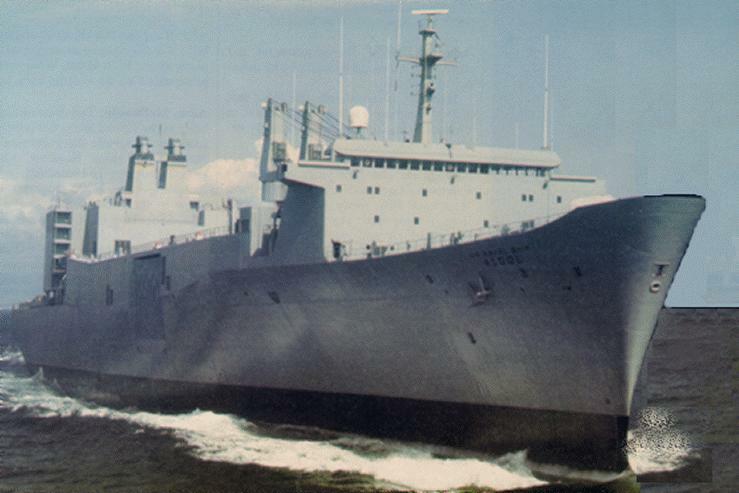 That American sealift company found their eight fast sealift ships to be a money loser, so they pulled strings in the US Congress and had them purchased for the US Army as the T-AKR-287 Argol SL-7 class (above). Catamaran and trimaran hulls allow greater speed but have less cargo capacity. The US Navy is buying JHSV "Spearhead" 1500-ton fast ferries for coastal and intra island operations as their speed provides protection and rapid response during combat operations. However, their cargo capacity is limited compared to traditional ships due to the hull design. They can be used as oceangoing vessels, but only if they cruise at an economical 20 knots lest they run out of fuel. Other nations have investigated air-cushioned ships that skim over the water rather than plowing through it. They have encountered the same basic problem, the need for huge engines with a massive appetite for fuel. An idea with merit are ocean skimming airplanes as Howard Hughes envisioned with the "Spruce Goose", now updated as the Boeing Pelican. This has yet to attract funding, probably because cargo capacity is just a small fraction of a cargo ship. If fast sealift ever becomes a practical idea, commercial shipping firms will order them if they can move more cargo in a year than similar-sized cargo ships of today. Meanwhile, military men should brush off fast sealift salesmen by asking why the experts in the private sector are not interested.